Throughout his memoir Flintoff adopts a formal tone which proves to very informative. He does not show any signs of regret about his life and believes all his experiences as a child helped shape the person he turned out to be. ‘It was probably attendance at Sunday School and Church, together with the influence of a loving Christian home which developed my moral background, stimulating my thoughts and dominating my actions throughout my life’ (Flintoff, p.1) However, Flintoff’s memoir also celebrated the heroic efforts of one working class individual: his mother who had to cope with the difficulties of raising a child single handily after losing her husband, Flintoff’s dad so early in Flintoff’s life. 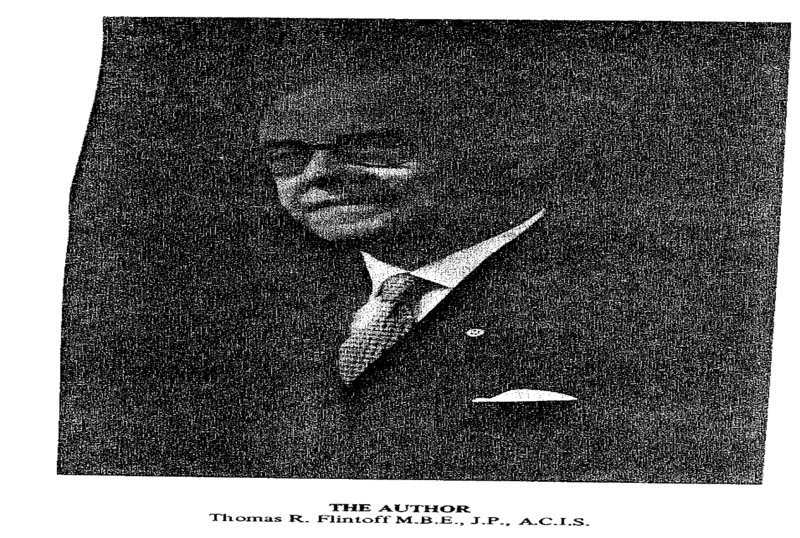 One Response to "Thomas R. Flintoff (1904-1994): Life Writing, Class & Identity"
I am the daughter of Thomas R. Flintoff. Together with Alice Flintoff I had truly inspiring parents.